please see descriptions and contact info for each group below. AFJROTC drill team and color guard. AFJROTC is a citizenship program designed to "Build Better Citizens"
The drill team and color guard meet on Tuesday and Thursday where they practice to compete in drill competitions throughout the state of Florida. Cadets learn about how to be successful in life, leadership and their communities. The more technical part of the program involves the study of Life Skills, Science of Flight, Aviation History, and Space Exploration. We complete numerous community service projects. Interested in the Arts? Come join the Art Club where members will volunteer their artistic talents in various community and school service projects. Art Club meets every Monday from 2:15-3pm in room 1-098. This club will serve as a place where people of all skill levels can learn and practice sign language while learning about deaf culture. It will function as a non-formal class setting where people who want to learn sign language at Flagler Palm Coast High School can do so while joining a larger community of learners. Everyone is welcome to join, and we encourage anyone who wants to learn more about the language to participate. If you wish to join later in the school year, email us and we will make sure that you are comfortable and feel as though you can learn with ease. FPC has a 240 piece Marching Band that preforms throughout Football Season and has 13 straight years of Superior ratings. There are also 3 Symphonic Concert Bands that preform in various concerts and competitions from November through April. The Starlets are open to membership by audition with flags, rifles, and dance. It is a Band class that meets (for credit) every day. The Starlets are the auxiliary part,(providing the visual effect) of the Flagler Palm Coast High School Marching Band which performs at halftime football games. After the fall season ends, the Starlets develop indoor routines (winter guard) to compete with schools and festivals around the state. To become a Starlet requires dedication, responsibility and hard work. Auditions are held in the spring for the following year’s team. ● To promote and encourage school spirit, enthusiasm, loyalty and good sportsmanship. ● To foster support among all FPC organizations. ● To create leadership opportunities. ● To be respected as an athlete. ● To encourage the “spirit of competition”. The Black Diamonds is a Step Team program at Flagler Palm Coast High School (FPC). It provides its members with many opportunities involving leadership, volunteer hours, community involvement, and teamwork. The objectives of this program are to promote leadership, camaraderie, character building, and challenging opportunities to learn while supporting all athletic teams at FPC. Step Team members will be given the opportunity to compete in State and out of State to show their talent. Find us on Instagram @fpc_black_diamonds. Don't Miss our Events and Fundraisers We need your support. Mission Statement: Our mission is to provide free, one-on-one tutoring to children with learning disabilities, as well as to serve as positive role models for our younger participants, in exchange for community service hours. Benefits: College Recommendations, Job Experience, New Friendships, & Volunteer Community Service Hours. Club Name: Flagler BrainChild (A High-School, After-School, Volunteer Tutoring Program for Students with Disabilities, Serving Grades PK-12). Sponsor & Tutor Supervisor: Susan McVeigh, ESE Parent Specialist, (386) 586-2395, Ext. 1184. Monday through Wednesday Tutoring Site: Government Services Building, 3rd. Floor, (Transportation available from FPCHS to GSB via the Opossum Bus #21404, at 2:15 p.m. However, volunteers must provide their own transportation home from the GSB). Our purpose is to teach a sophisticated game to young students so they can compete at the national level and include that tournament on their college applications. 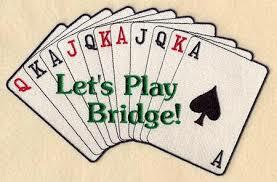 The top Universities in the country have bridge teams that compete at nationals. IE: MIT , Stanford , Cornell,Yale , Harvard , Cal Poly tech. We will now ( until tennis season starts in late January) be meeting on Mondays and Thursdays. We will be competing, (some of us) on Friday nights at the Daytona Bridge club (Swiss Teams) and at 10 am at the Palm Coast Bridge club on Saturdays. Let me know if you are coming. We all go to regional Tournaments it Daytona (November 10th) and the Jacksonville regional as well. Most importantly we will go to the Youth national Tournament in July of next year in Las Vegas. *Meeting dates will change as needed with notice! The FPC Bulldogs 4H Club is a youth development partnership between FPCHS, The University of Florida, and the Flagler County UF/ IFAS Extension Office. During bi-weekly meetings, members will develop life skills in leadership, communications, public speaking, and various agriculture skills through projects and team building activities. We also complete community service, STEM, healthy living, and citizenship projects at the club, county, regional, and state levels. The FPC Bulldogs 4H Club members are eligible to participate in the Flagler County Fair, as well as county, regional, and state competitions! The chess club is for beginning, intermediate, and advanced players of chess. The benefit is to engage students to a challenging and slightly competitive-- but fun-- afternoon with other students and a chess board. We will have a discussion about a possible friendly competition at the end of the school year. Knowledge of the game is not required to come to the chess club, as there are enough advanced students to teach beginners. Problem Solving through community service is the core of this club. Students apply problem-solving skills to existing problems in their school, community, or state. They identify a problem situation then use the creative problem solving process to develop a plan of action and then implement this plan. Problem Solving through community service bridges the gap between school and the real world. Club Meetings take place on the second Tuesday of each month at 7:30am in the Bulldog Learning Commons. Dancers rehearse after school for performances throughout the school year. Dancers must be registered and active in the FPC dance classes. Group meets once a month to review credits, discuss trips, plan projects and prepare for the induction ceremony for the graduating Seniors. This semester,we are focusing on The Astronaut Challenge!! Meetings are every morning at 7:15 in The Hangar (7-108). For those interested, we are also learning about and practicing flying drones. FBLA is a co-curricular organization as part of the business education program. As such, most FBLA activities are done in the classroom as part of the curriculum. A monthly meeting will be held on the 1st Wednesday of each month in room 6-108 from 2:15 to 3:15 pm. Other meeting will be held throughout the year as needed for our community service projects. Check out this video to learn more about FBLA. FCA or Fellowship of Christian Athletes focuses on serving local communities by equipping, empowering and encouraging people to make a difference for Christ. The Bunnell FFA at Flagler Palm Coast was chartered in 1937. We offer members a wide variety of opportunities that promote personal growth, premier leadership and career success. The FFA encourages the practical application of technical skills and individual growth. Chapter activities include community service, team building, competitions and conferences. Through these activities members develop communication, problem solving and leadership skills that will help them on their path to success. Members have the opportunity to make new friends, develop new skills, travel and qualify for scholarships. Those interested in finding out more should contact Mrs. Johanna Davis, follow us on social media @bunnellffa, visit our website http://bunnellffa.theaet.com/, listen to announcements and attend our meetings. Annual dues is $17.00 and includes a t-shirt (if paid by Oct 15th) along with State and National Dues. EXCEPT Jan and April when it will be the 2nd Wed. The Future Chef’s Club is a group of students that meet in room 6-108 from 2:15 to 3:15. They cook new and creative recipes and get a taste of what to expect in Culinary Arts class. They cater outside events and are known throughout our school and community. The FPC E-sports team is for students who are interested in video game competitions and competing locally and nationally in the up and coming world of E-sports. Students will have the ability to win prizes and scholarships depending on how their team does. Any student interested in trying out for a specific team should contact Mr. Lique in 1154 for more information. For those interested in simply playing video games and board games but do not want to compete, Mrs. Santore in 2-124, will be hosting a gaming club on the 1st and 3rd Tuesday of each month. In partnership with Habitat for Humanity of Flagler County, our purpose is to help people by advocating, working, and showing support to those in need. Meetings are the 1st and 3rd Monday's of the month. A community service club that is project-based and focused on building relations between members and the community. We are sponsored by our local Rotary, part of an international service organization whose stated purpose is to bring together business and professional leaders in order to provide humanitarian service and to advance goodwill and peace around the world. We have food at every meeting! You can join by emailing any of officers or sponsor, visiting the website and signing up there, or going to Mrs. Brocksmith’s office in Guidance! Welcome to the JSU (Jewish Student Union). This club has over 200 locations serving kids across the entire nation. Meaning, there are kids just like you who are wanting to participate in a fun filled club. The goal of JSU is to educate Jewish and Non-Jewish kids on different things and topics such as history and culture. Every meeting will have kosher snacks provided by the JSU organization. With regular meetings, JSU also sponsors activities outside of school including Retreats, Citywide holiday parties, community service projects, Friday night dinners, and other exciting events. Meetings are location in room 210 in the 200 building. FPC Key Club is an extention of the Palm Coast Kiwanias. The Leo Club is part of the Palm Coast Lion’s Club. We are a community service club. Through the year we are involved in various events in Flagler County, as well as different events at the elementary schools. The Leo Club's sponsor is Melissa Castañeda. Meetings will take place the 1st and 3rd Thursday of the month in Room 1-129. FPC has 2 writing clubs for the Josh Crews Writing Project. One on the main campus and one for i3 Students. Description: The FPC Writing Club is for students who wish to write creatively for multiple purposes. Students will write pieces for publication in the Josh Crews Writing Project publication, for competition in the scenario writing category for Future Problem Solvers, and for other writing challenges such as NaNoWriMo. This is a way for young inspiring authors to write their own stories and improve on their craft. This club is for writers of all levels. Description: The i3 writing club is for i3 students who wish to write pieces for publication in the Josh Crews Writing Project publication. This is a way for young inspiring authors to write their own stories and improve on their craft. This club is for writers of all levels and hopes to help shape future authors. An authentic simulation of the UN general assembly, UN Security Council, or other multilateral body. Delegates attend conferences where they serve as ambassadors to address real-world issues by drafting resolutions and working with fellow delegates to solve international crises concerning human rights, peace and security, the environment, economic development and other global concerns. This is a place to strengthen your voice in public speaking while learning about the world, all while making great friends in a quirky environment! To join, stop by any of the meetings or Ms. Elledge’s classroom, visit the website, or email us! Mu Alpha Theta is a Math Competiton Team. The chapter meets on the second Tuesday of every month in the media center, and individual subject area teams meet for indiidual practices as announced. If you are interested in joining, please speak to your math teacher. Club Sponsors: Mrs. Brandee Crist, Mr. John Kleckner and Mrs. Sarah Lombardo. Mission Statement: "We are an honor society dedicated to promote mathematical learning both within and outside of our chapter. We do this by creating a healthy and honorable mathematical competitive environment while encouraging others to surpass their current mathematical ability and reaching a hand to our community by offering free peer math tutoring to FPC students." Click here for advise on preparing for the selections process. Spectrum is FPC’s chapter of the Gay-Straight Alliance. The (GSA) is a student-run club that brings together LGBTQ and straight students to support each other, provide a safe place to socialize, and create a platform for activism to prevent bullying and self-harm. Meetings will be after school, every other Wednesday, in rm. 3-101 from 2:15-3 pm. As the members of the Flagler Palm Coast High School’s Student Government Association, we will strive to promote school spirit, encourage our peers to focus on academic achievement and then celebrate their success,and serve our community.We are committed to serving others by creating a positive school culture that includes ALL students and celebrates ALL successes. The SGA motto is “Expect Excellence” and therefore grades, discipline records and character are a large part of our membership criteria. There is an elective class offered to SGA members to support the activities they sponsor. To be eligible for a seat in this class, students must be at the top of the "action hours earned" list. (Basically everyone has to start in the afterschool program). The FPC TECHNICAL THEATER GUILD is a group of motivated FPC students interested in excellence in Technical Theater. The Guild supports every event at the Flagler Auditorium from school related programs and shows to professional events open to the community. Work with professionals in the field and get rare and valuable experience. The FPC Thespians Troupe 5023 is an affiliate of the International Thespian Society. Our troupe competes both at the district and state level in in the state of Florida in Acting, Musical Theatre, and Technical Theatre categories. We also sponsor 3 fully staged productions per year at FPC High School as well as several events throughout the year. We do 2 stage plays, one musical, several showcases and cabarets, and one Variety Show. At the state competition level, our students have the opportunity to develop their skills by taking workshops from professionals in film, broadway, and television, as well as view several full length plays or musicals. Sponsor of Troupe 5023 is Kelly Rivera a riverak@flaglerschools.com. Multimedia is one of the fastest growing mediums in the world today. There are high paying jobs that students can do in production even while in high school and especially after graduation but you need to have the experience. TV Production Club meets right after school on Tuesdays and Thursday's and gives you experience that you can use on your resume. Advanced class members are required to attend, but everyone is welcome, even if you are not officially registered for TV Production classes. If you have ever wanted to be on television or desire to work behind the scenes of a video production, join us after school. Fun current and future projects are discussed, planned and assigned. You’ll get on-the-job training by working with advanced students and the instructor. We film many of the FPC's events and sports, on and off campus. See Ms. Hicks to join. The TED-Ed Club’s purpose is to empower students' voices by giving them a platform and format to express their ideas. Through a series of creative and collaborative lessons, students will learn what makes an idea worth sharing, why their presentation is important, and how to enhance their public speaking skills. In the end, students have the opportunity to give a TED style talk. Our ultimate goal is to spread ideas that lead to positive change. The TED-Ed club meets in the TV-Production room (room 1141-) the first and third Wednesdays of every month from 2:30-3:30. The 2018 FPC Yearbook, If Not You, Then Who, is being published by the 4th period Journalism students. If you would like to stretch your body by practicing postures, stretch your mind through meditation, engage in breathing exercises and reduce stress in your life-- feel free to join YOGA CLUB !!! The Flagler County Youth Center’s Student Advisory Council is the organizing body of the Flagler County Youth Center. The group meets twice a month, in the Youth Center, and is responsible for setting and enforcing all facility Rules & Regulations, as well as creating and participating in a number of Community Service Events & Projects. Participants qualify for Community Service hours and seniors are eligible to apply for two scholarships sponsored by the Youth Center.